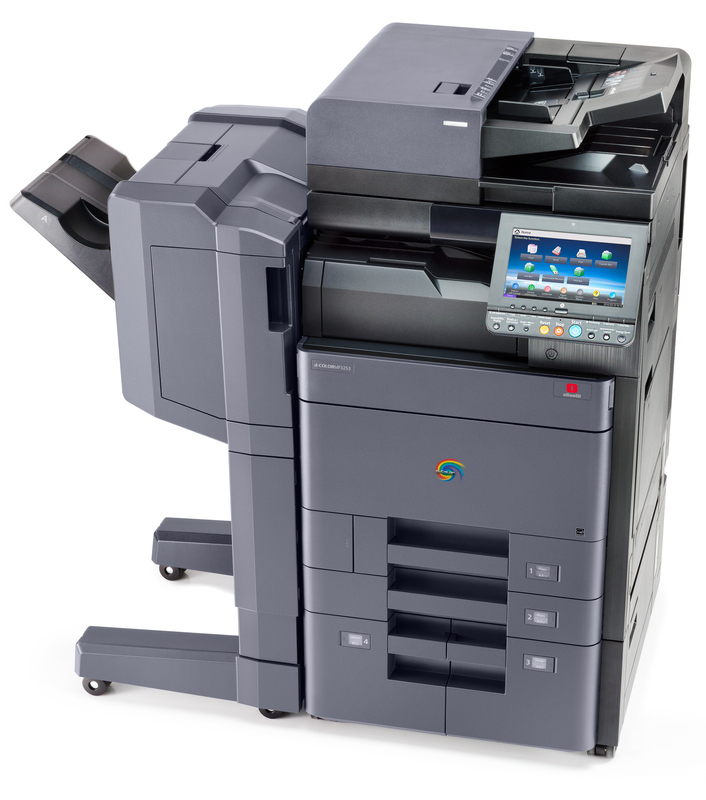 The d-Color MF2553 and d-Color MF3253 A3 format colour multifunctional systems are designed to enhance the process and control of document flows with maximum reliability. These models are delivered with intuitive, easy to use functions for processing and sharing documents and deliver colour prints of exceptional quality. The idea behind the innovative system architecture is to facilitate integration of different software solutions which support the transition of traditional office environments towards shared services, mobile access and cloud storage. What is more, they are both fully compliant with the latest environmental protection standards. Wide range of options allowing configurations and manufacturing processes to be optimised. Use a newly designed toner, developed to reduce energy consumption – achieved by a lower melting temperature - and, more importantly, to produce prints of superior quality characterized by brilliant colours and vivid shades and hues. Highly efficient solutions for data security and protection. Through the integration of NFC (Near Field Communications) technology with “Direct Wi-Fi”, mobile devices can connect directly with the d-Color MF2553 and d-Color MF3253 systems for document sharing and remote function control.